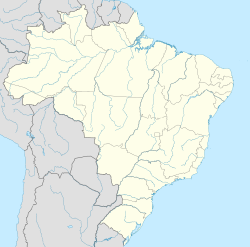 Codó is a city in Maranhão, Brazil. It has an estimated population of 122,597 (2018) and an area of 4,361 km2. The population was 120,265 in the year 2015. ^ "IBGE | Cidades | Maranhão | Codó". cidades.ibge.gov.br. Retrieved 2018-11-29.